"A Learning Booklet – How to Proofread a Document" is a quick, but thorough guide for proofreading. In it, the reader learns outstanding tips, strategies, and techniques for properly proofreading a document. 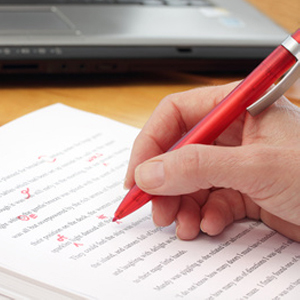 The booklet explains the important difference between proofreading and editing, the objectives of proofreading, what errors to look for and how to spot them. This booklet is both a handy and detailed pocket guide for proofreading.